This is what our clients say about us!! Susan is a phenomenal real estate agent!! She takes you through the home buying/selling experience from A to Z like you are her only customer! I have bought numerous homes and have never been catered to like Susan catered to us!! Not only is Susan over the top with customer service, she knows the market! We were shown numerous homes that hadn't even hit the market yet. She has lots of connections in the community that will ensure you find the home of your dreams or sell your home quicker than anyone else could! I highly recommend using Susan for your home buying and selling process!!! We were pretty specific with our wants and needs in a home, and were moving long distance. We couldn't have asked for a more helpful, honest, and patient agent. Damon found a buyer for my dad and stepmom in record time. They were transitioning to senior living so this was a stressful time for them. His asking price was about $30,000 higher than a price suggested by another realtor, and he was right. 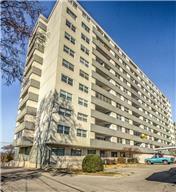 Their condo DID go quickly at a higher price and he helped them through the entire process. I appreciate how he handled them with care and respect. Scott and Sulinda were extremely helpful. We were buying from out of state and they took their time to help us find the home that was right for us. We'd definitely recommend them to future home buyers. Bought a Single Family home in 2016 for approximately $300K in Brentwood Glen, Nashville, TN. They helped to find my new home and did so with top notch professionalism. Her availability was impeccable as she always was quick to respond to anything I needed. She was great thru the negotiations and closing. I would highly recommend Jennifer and will be using her again in the future for any of my realtor needs. Scott was very helpful and professional . I would highly recommend him. He was thorough , prompt and handled all requests and also provided excellent reccomendations. 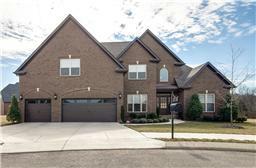 Bought a Single Family home in 2016 for approximately $600K in Spring Hill, TN. Bought a Single Family home in 2016 for approximately $250K in Spring Hill, TN. Bought a Single Family home in 2016 in Lafayette, TN. Honestly, words cannot even begin to describe how awesome Scott was! He was the most thorough, patient, and knowledgeable agent, more than anyone could ever ask for. He made me feel like I was his number one priority! He truly made buying our first home the best experience ever. He is a very kind person, who really cares about his clients. Love Scott! Would refer him to any and everyone I know buying a home! I would give a hundred stars if I could!!! 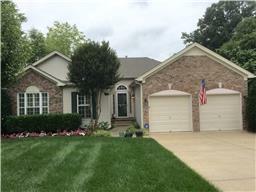 Sold a Condo home in 2016 for approximately $225K in Carnton, Franklin, TN. 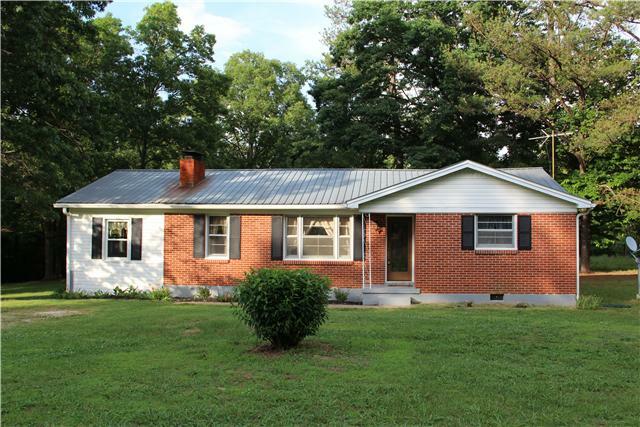 Bought a Single Family home in 2016 for approximately $175K in New Johnsonville, TN. 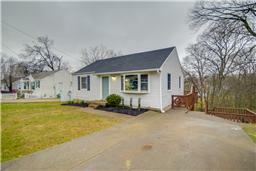 Bought a Single Family home in 2016 for approximately $225K in Nashville, TN. Derek is one of the best real estate agents you will find. He was our agent for the purchase of a house in Donelson TN and he went above and beyond the call of duty. We found him to be trustworthy and knowledgeable about the in's and out's of closing a deal. We highly recommend Derek for a A+ agent. 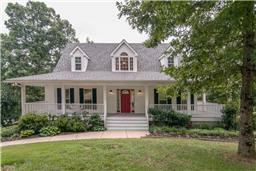 Sold a Single Family home in 2016 for approximately $275K in Somerset Farms, Nashville, TN. Damon was a great help in selling our house. He was very professional throughout. Most of all he was extremely responsive at all times and was able to successfully handle the closing of our house from 2500 miles away. 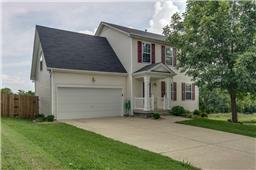 Bought a Single Family home in 2016 for approximately $100K in Centerville, TN. Scott was an absolute pleasure to work with. He is very thorough, patient and is always available! He made our home buying process fun and easy! He worked really hard for us and always made me feel like I was his number one priority! I will recommend Scott Osters to anyone buying a home. I really appreciate him and all he did for us! Bought a Single Family home in 2016 for approximately $150K in Antioch, TN. Scott was an absolute joy to work with. 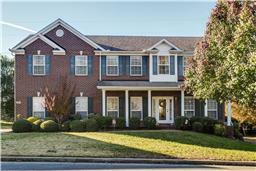 We could not have asked for a more attentive agent and we absolutely love our home. He went above and beyond and spent a lot of time making sure we were happy. I would absolutely recommend him to a friend. A true professional! 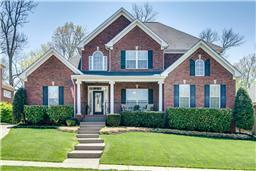 Bought a Single Family home in 2016 for approximately $750K in Brentwood, TN. Very pleased with our experience with Damon - very knowledgeable, easy to work with, eager to help. Guided us through the whole process, and was very proactive for us. 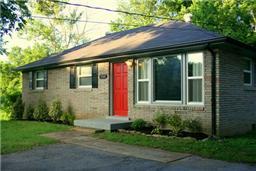 Sold a Single Family home in 2016 for approximately $325K in Crieve Hall, Nashville, TN. 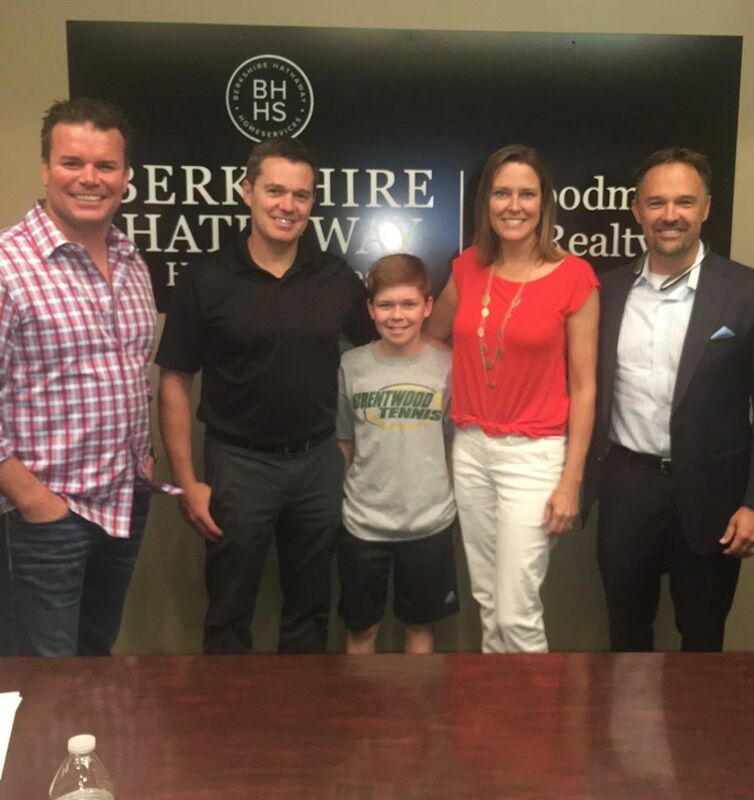 Damon helped my brother and sister and me sell our family estate home in Nashville. We heard about him through a friend that recommended him. From the moment of contact we could tell he was a professional with knowledge and experience. We did interview several agents and Damon's communication and marketing plan stood out to us. After prepping the home we sold if for more than asking price. We closed on it with no problems. We highly recommend Damon and his team to anyone that will listen. We can not say enough good things about our experience with Damon. Bought a Single Family home in 2016 for approximately $200K in Ashland City, TN. Derek was fantastic. Not being from the area he worked with us to do a video walk through of homes we were interested in. He went above and beyond with keeping us in the loop for every step of the process in closing. Always responding to any questions in a timely manner. Would recommend to anyone looking for a home in the area. Sold a Single Family home in 2016 for approximately $300K in Nashville, TN. My husband and I truly enjoyed working with Damon. His knowledge of the business and area is extensive and helped us to get top dollar for our house. He was always very responsive - answering calls and texts immediately. I am sure I was not the easiest client to work with, as I can be a control freak, but he was patient with me throughout the entire process. We appreciate everything he did for us, and we highly recommend Damon for any real estate needs. Bought a Single Family home in 2016 for approximately $900K in Abbotsford, Nashville, TN. I think it relevant that I have bought and sold homes several times in 7 states. Based on that experience, I have high expectations for a realtor. Damon is a top-flight realtor in all pertinent regards. He does not treat you as if you are one of dozens of clients. He gives you the perception that your particular goal is his goal, and that fulfilling the goal has a very high priority with him. He is quick to respond to your concerns, and we had many. He was patient with our often conflicting desires and oh so gently urged us to look at properties based on his listening to us struggle with what specific kind of property to buy. His personality is perfectly matched to being a realtor. He is open and friendly without being pushy or swarmy. Personality is a major dimension when choosing a realtor because that agent is going to be interacting with other people ON YOUR BEHALF. You can be confident that Damon will be acting on your behalf with other people in a manner that you can be proud of. Especially helpful to us was Damon's knowledge of the local community and people inside that community who could assist us in the complicated task of adjusting to a new community. We had visited Nashville several times as tourists, but in no way did we have the kind of experience and knowledge that would have enabled us to find a specific area of town and the particular property we eventually purchased. His ability to link us with vendors who could smooth the adjustment process was especially appreciated. Nancy and I give him our highest rating. Sold a Single Family home in 2016 for approximately $100K in Nashville, TN. 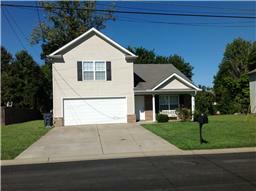 Sold a Single Family home in 2016 for approximately $150K in LaVergne, TN. Damon is a great agent. He helped me both buy and sell a home, both of which went incredibly smoothly. He is readily available, incredibly helpful, very knowledgeable, and I would highly recommend him to anyone. 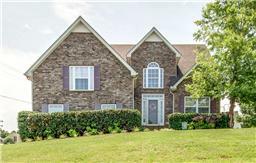 Sold a Single Family home in 2016 for approximately $150K in La Vergne, TN. Damon worked with me to both buy and sell my home in the Nashville area. He understood what I was looking for and found a wonderful home for me in a great neighborhood. We would often have to communicate while I was still living out of state and he would research homes for me. I highly recommend working with him. His knowledge of both the area and the real estate business is invaluable. Bought a Single Family home in 2016 for approximately $475K in Thompsons Station, TN. I was moving to the Nashville area from Mississippi. I did not know the area very well and I was overwhelmed by the multiple areas/neighborhoods to choose from. A friend recommended Realtor Susan Sanders to me. Susan was amazing! She is a longtime resident of the Nashville area and knows a lot about the different neighborhoods and communities. She was able to help me narrow down my choices and guide me to the best area for my particular needs/job. She worked diligently to find me the perfect home in a short amount of time. After the closing, Susan has continued to check on me and has taken care of any problems that have come up. It is evident that Susan truly loves her job and enjoys helping others. I will use her again and would highly recommend her to others. 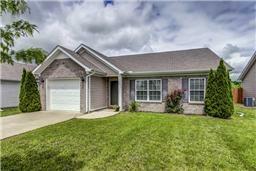 Sold a Single Family home in 2016 for approximately $150K in Southeast, Brentwood, TN. 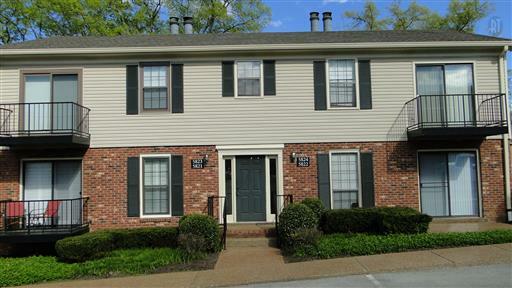 Sold a condo in the Brentwood, TN area. 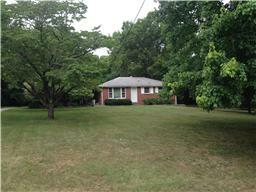 Had a contract in less than 48 hours for a sales price that exceeded our initial asking price. The goal was to maximize contract price and minimize 'days on market'...Damon definitely exceeded our expectations. Damon was very matter of fact in his dealings with us and the level of communication we received during the transaction was a lot better than anticipated. We were always kept in form of the process status and Damon was expedient in responding to our questions. Was a very pleasant real estate transaction experience! 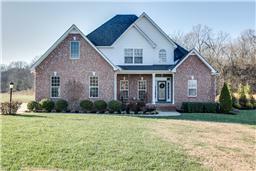 Sold a home in 2015 in Bellevue, TN 37221. This guy is top-notch realtor. It ONLY took 3 hours to sell my house. He is very communicative, honest, cooperative and helpful. If you want to sell your properties in Nashville Greater Area, I highly recommend Damon as your agent. You're the best Damon and congratulation for your new bundle of Joy. 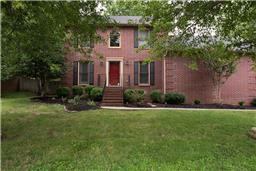 Sold a Single Family home in 2015 in Brentwood, TN. 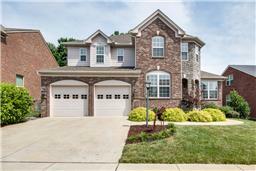 Damon worked with us to sell our home in Brentwood TN. He immediatley developed and implemented a strategy to fit our needs and draw significant viewings in. He continued to modify the plan and was continually aggressive to create a blend that matched our buyers and us as well. I have purchased and sold a number of homes and I can say that Damon is by far, the most professional and strategic real estate executive I have been associated with. He is, by far, the best realtor I have had the pleasure to work with. 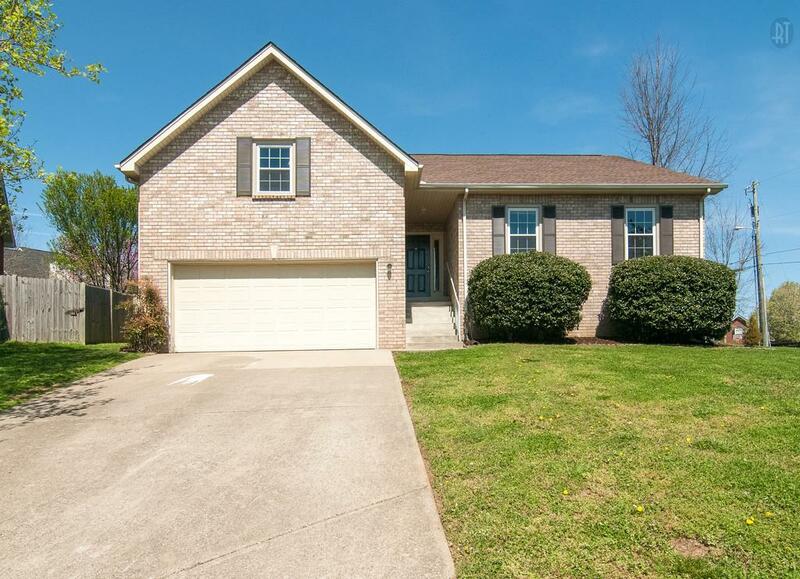 Bought a Single Family home in 2015 for approximately $275K in Spring Hill, TN. 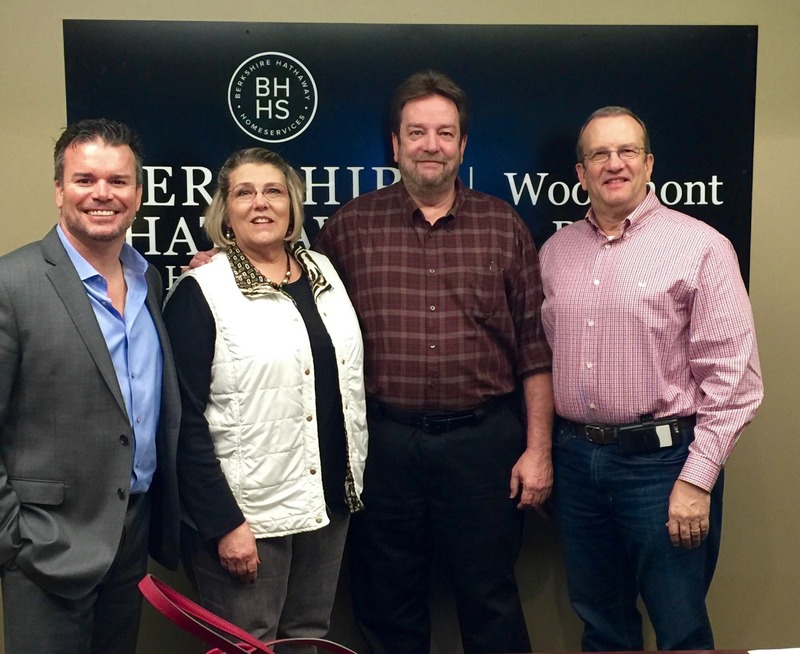 Susan Smith(Damon Smith team) was a pleasure to work with on my relocation from Buffalo to Spring Hill, Tennessee. She had a great itinerary set up for our Columbus Day weekend house hunting tip. Her research and great effort helped us find our dream home on the first day. I STRONGLY recommend her for anyone buying or selling a house. Thanks SUSAN!!! Bought a home in 2015 in Brentwood, TN. Damon delivered everything we wanted in a very quick timeframe. I'm a fairly high maintenance buyer, and he handled my requests like a champ. Damon drove us to every home in every suburb we asked for, and it's obvious he knows the market. Thank you, Damon, for being a great host and realtor! 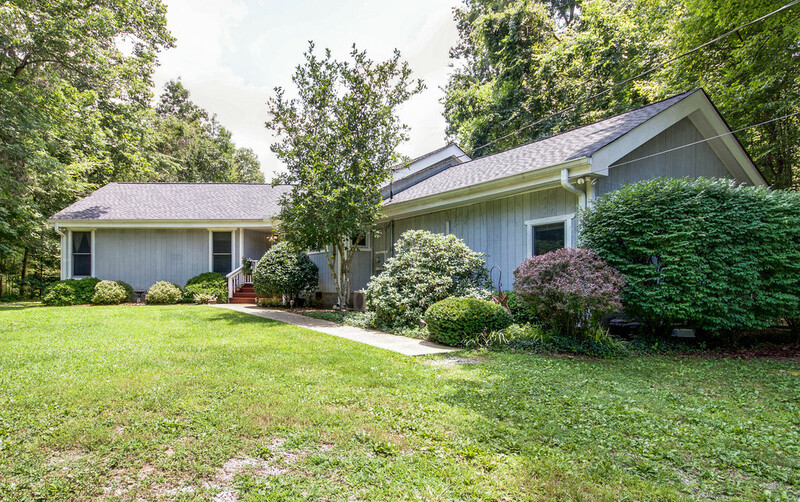 Bought a Single Family home in 2015 for approximately $300K in Kingston Springs, TN. Damon is a pro who worked tirelessly to show us houses all over the area. He spent many hours with my wife and me, driving us all over creation. He was patient and a pleasure to work with. 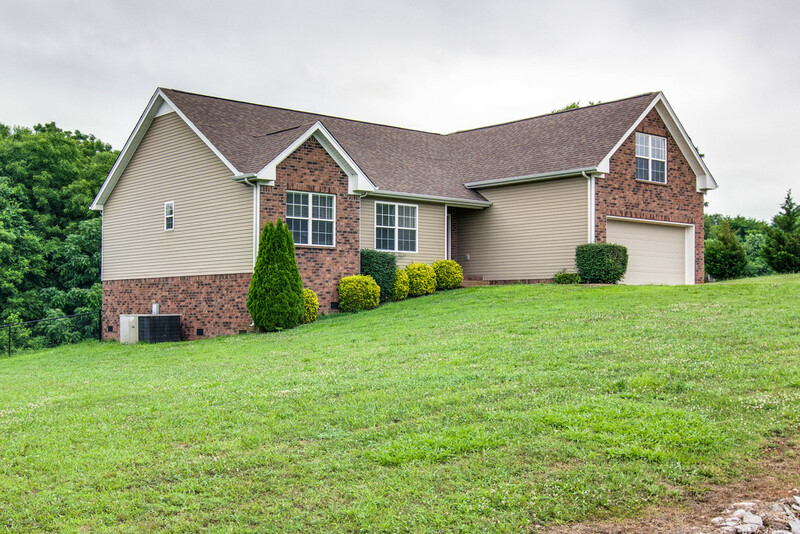 Sold a Single Family home in 2015 in Fairview, TN. Damon was accessible and easy to contact. He responded quickly to any questions or concerns we had during the process of selling our home. He has a great staff working with him to help sellers feel comfortable during the selling process. He let us make our own decisions with great guidance from him. Sold a Single Family home in 2015 for approximately $325K in Nashville, TN. I am a builder and I am very picky about who I use as my Realtor. Damon is a professional and an excellent negotiator. When you have a deal that could go wrong, he is amazing at working it out. I recommend him and I will use him again. Sold a Single Family home in 2015 for approximately $250K in Sugar Valley, Nashville, TN. Damon was recommended to us for being a strong negotiator and professional. Without question he's strong at negotiating and handles himself quite professionally. What stood-out more so was his trustworthiness and acute insight into the local real estate market. Our living overseas was not a wrench in the works for Damon. We were informed throughout the process, by phone and E-mail. Not so easy if you take into account our time-zone difference. Damon handled issues in a positive and aggressive manner always in command and control. Damon made things happen! Sold our house in 3 days! Would recommend Damon Smith above anyone else. 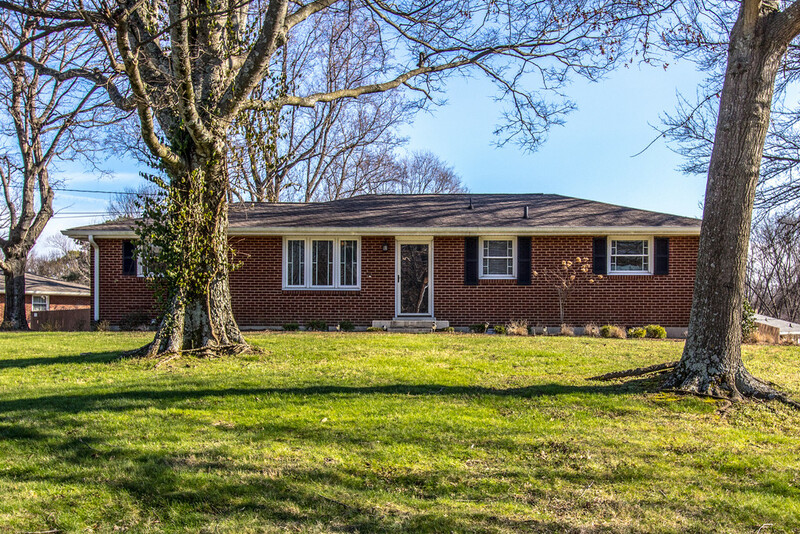 Sold a Single Family home in 2015 for approximately $175K in Ashland City, TN. I had a great experience with Damon. He was very responsive and easy to work with. 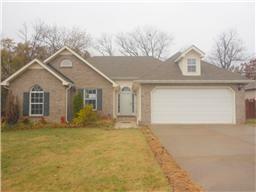 He took great pictures of our home, listed it quick, and sold it quick. He kept me updated through the entire process. 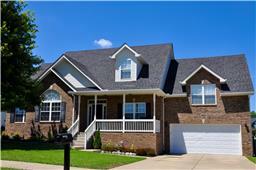 Sold a Single Family home in 2015 for approximately $225K in Spring Hill, TN. I had tried to sell my house 2 other times w different agents both I had bad experiences with- little communication & deals falling through w no communication. 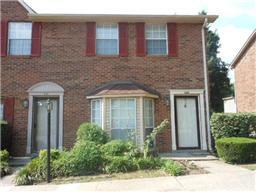 Damon was very communicative, caring, bold & sold our house in a very timely matter! He would do whatever it took to meet our needs! I especially loved the fact that I am out of state and he made sure the house was cleaned & told me what it would take to sell it! I had several offers within the first few weeks! I highly recommend Damon! Bought a Single Family home in 2015 for approximately $225K in Locustwood, Nashville, TN. Damon was easy to work with and VERY responsive. Whether it was 8am or 8pm, he was prompt with all forms of communication (phone, email, text). As a first time buyer, he was patient and knowledgeable. All the inspections were set up on-time and I was able to close within 3 weeks of offer acceptance. I will recommend Damon to everyone I know looking for a house in or around Nashville. 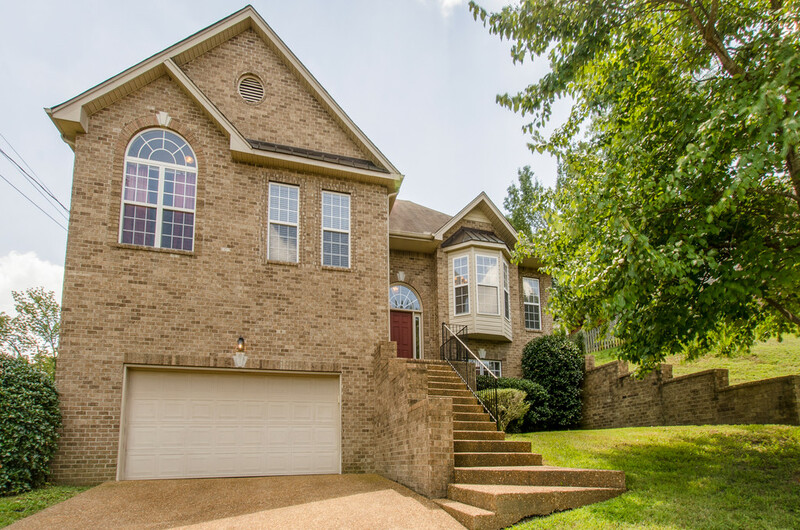 Sold a Single Family home in 2015 for approximately $375K in Brookview Forest, Nashville, TN. Damon Smith is very knowledgable in the field. He is patient and responsive to any questions and concerns we had. We sold and bought our new house with Damon and it was an overall pleasant experience! Bought a Single Family home in 2015 for approximately $250K in Nashville, TN. Working with Shannon was everything I could ask for. She helped show us as many houses as was on the market. We loved working with this group of people. I would recommend Damon and Shannon to anyone who is looking for a house. 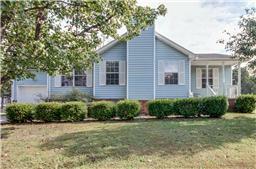 Bought a Single Family home in 2015 for approximately $175K in Columbia, TN. Great to work with. Made buying a home easy. Quick communication. Handles any issues that come up quickly and professionally. Very knowledgeable about current market. No worries with Damon Smith. Bought a Single Family home in 2015 for approximately $275K in Poplar Creek Estates, Nashville, TN. Damon went above and beyond to find us the perfect house. He's extremely knowledgeable about the process from start to finish and is well respected in the community. We would recommend him as a realtor without hesitation. Bought a Single Family home in 2015 for approximately $500K in Nashville, TN. Damon was a pleasure to work with, on top of his game and very responsive! We had a very small window of time to make this work, and he facilitated the process very quickly. I would recommend him to anyone. Bought a Single Family home in 2015 in McEwen, Franklin, TN. We worked with Susan Smith. She called within five minutes of my stating I wanted to see a property and was able to show it to us that very day. We viewed the property at 3:00pm before the showings were concluded at 6:00pm. She gave us valuable advice on making our offer and contacts who helped pull everything we needed together and submitted by noon the following day. Our offer was accepted. We appreciate Susan's expertise and guidance. 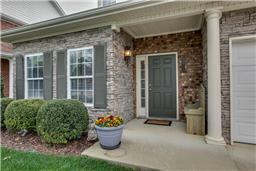 Bought a Condo home in 2015 for approximately $200K in Spring Hill, TN. Damon and his team have a great handle on the pulse of the market, which served me well in my experience with them. Every meeting and/or appointment was on time and efficiently executed, with enough time taken to properly and completely meet my needs. All inspections and reviews were done by knowledgeable and professional people. I was never rushed to do anything, but my time was not wasted, by any means....like "Goldilocks"... just right. Bought a Single Family home in 2015 in Spring Hill, TN. My family and I moved from California to Tennessee. Damon and his team were amazing. Always there to answer any questions we had. I would definitely recommend Damon. Thanks Damon for your great job in helping us purchase our home. You were there for us with all the answers and expertise in expediting the transaction even when things got a little complicated by the sellers. Thanks again. Bought a Single Family home in 2015 for approximately $250K in Murfreesboro, TN. 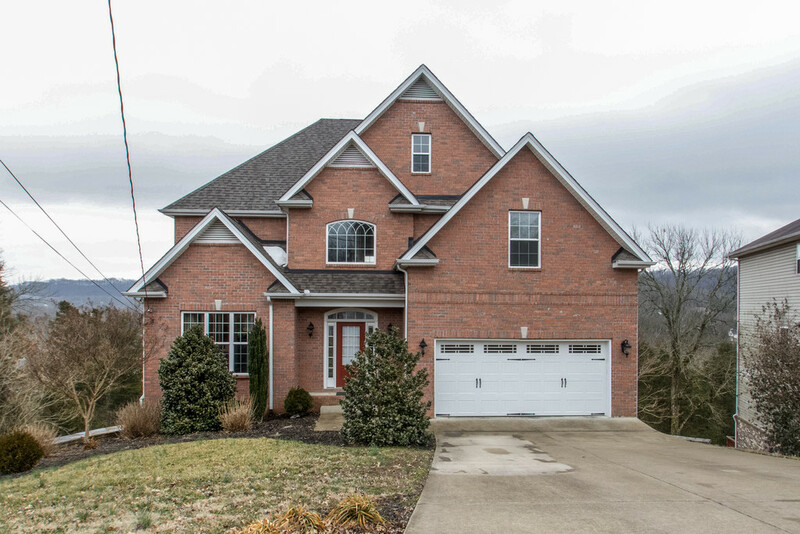 Sold a Single Family home in 2014 for approximately $700K in West Harpeth, Franklin, TN. Damon did an outstanding job--not only in marketing our house but also in dealing with an incredibly difficult, hopelessly unreasonable home inspector in the days before closing. He was firm where he needed to be and flexible where he needed to be, and he gave wise counsel. No one works harder than Damon, from the moment the house is listed until the moment it closes. I can't recommend highly enough. Bought a home in 2015 in Glencliff, Nashville, TN 37211. We were very lucky to have Damon as our realtor! He was very professional, patient, knowledgeable and accommodating with our busy work schedule. He was always there when we had any questions or concerns. We would definitely recommend him to family and friends. Thank you so much for everything, we really appreciate all you done! 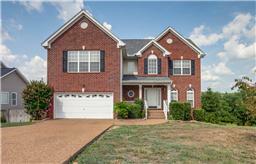 Bought a home in 2014 in Four Corners, Nashville, TN 37013. I think we were the longest clients Damon had. It took us a year and a half to find a house because... Well we were just picky! What we most appreciated Damon for was that he was alway willing to show us houses no matter the time or day, or how many. That meant a lot to us since we were both so busy! He is honest, understanding and knows the industry and the cities around here. I would definitely recommend him to all of our family and friends! 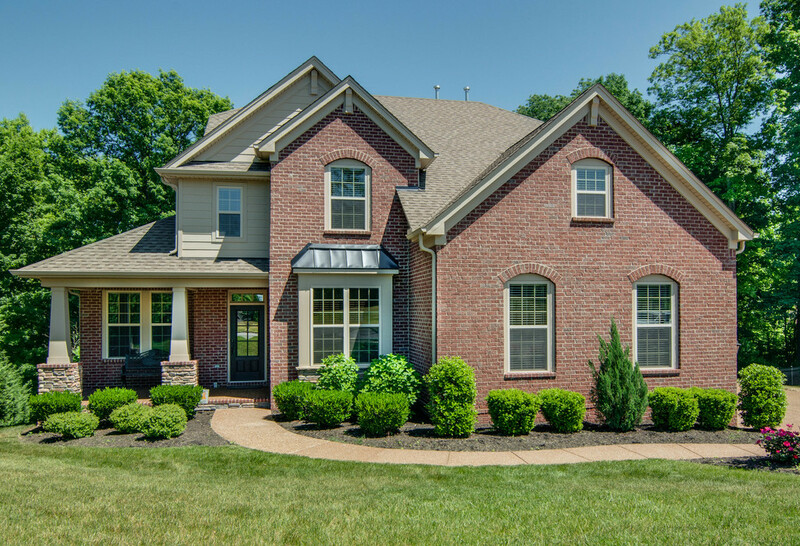 Sold a home in 2015 for approximately $375K in Stone Creek Park, Nashville, TN. Damon was very knowledgeable of the market and used many different approaches to marketing our house. We were very pleased with the process and Damon did a great job of communicating with us along the way. We would definitely recommend Damon to anyone who is looking to sell their house! 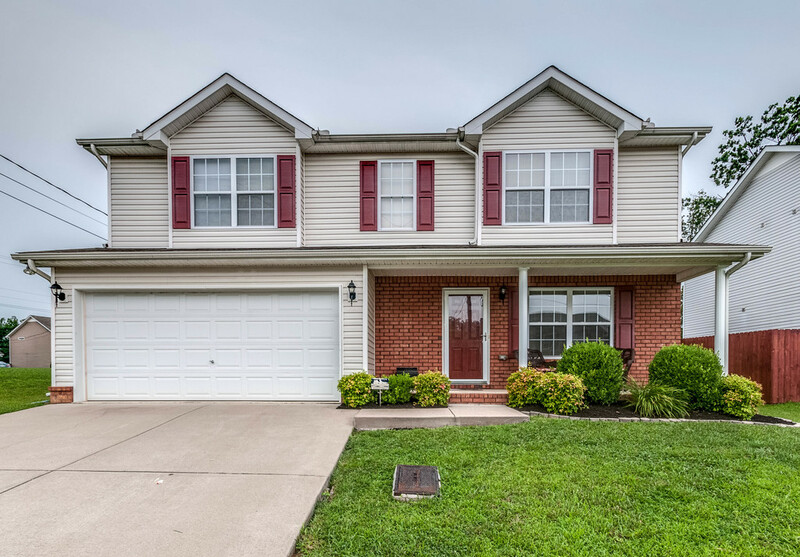 Sold a Condo home in 2015 for approximately $200K in West Harpeth, Franklin, TN. Damon is an excellent realtor and wonderful to work with! I had a contract on my property before it was listed, and we closed in 15 days without a hitch. Bought a Single Family home in 2015 for approximately $350K in Edmondson - Cloverland, Brentwood, TN. There is a reason that Damon Smith comes highly recommended and has a 5 star review. Damon is the hardest working real estate agent that I have had the pleasure of working with. He and his team are always prompt and bring a plethora of knowledge and experience to the table. He was able to find us a house within a few days and close on it within 2 weeks. 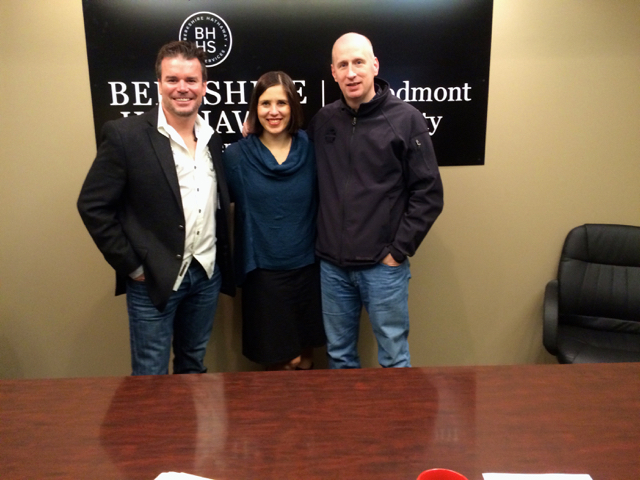 I highly recommend Damon and his amazing team to anyone seeking to buy or sell real estate in the Nashville market. I've bought several homes in my life, but I have never met an agent who works as hard and who is as competent as Damon. He and his team worked quickly to help us find a great house. In only a 2 day period, Damon and Susan helped us find the perfect home. From the time we put a contract on the house until closing was 2 weeks - unbelievable. We also only had a week to get the interior painted, carpets cleaned and some electrical work completed. Damon provided all the contractors to help with this and they got the 3,000 sf house painted in a week. I highly recommend Damon and his team over any other agent in the area. 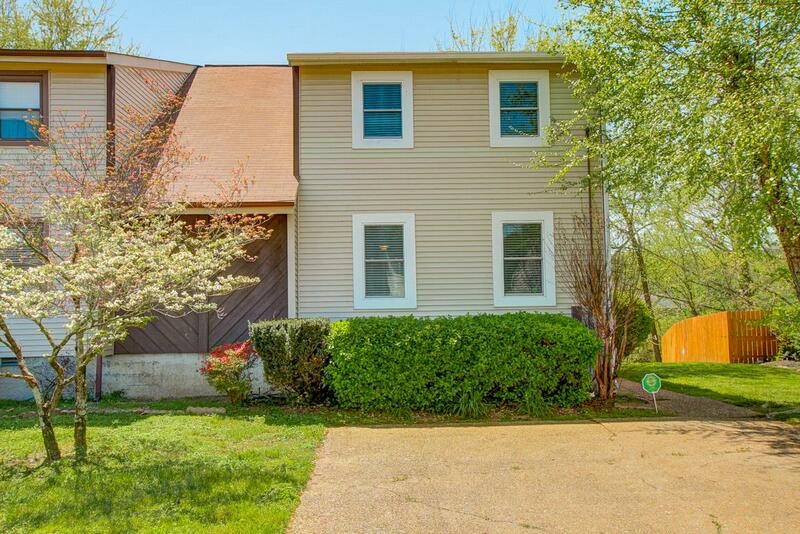 Bought a Single Family home in 2015 for approximately $150K in Maplecrest, Nashville, TN. Damon is best agent in Nashville! He and his associate, Devyn, worked hard to find the right place to me. He knows his stuff and made sure I got the best deal on my house! 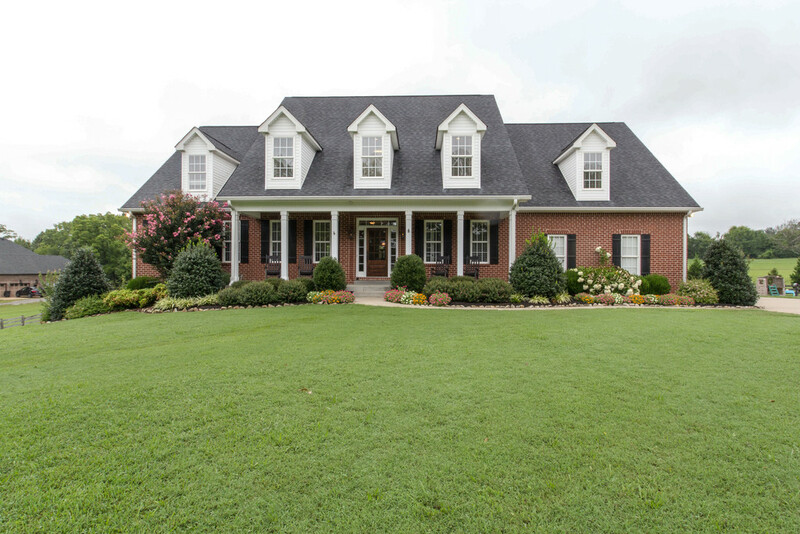 Sold a Single Family home in 2014 for approximately $350K in Spring Hill, TN. Damon was phenomenal. He staged my home and had it sold before it even hit the market. I had already moved out of state, so Damon handled everything. All phone calls and questions were answered immediately. 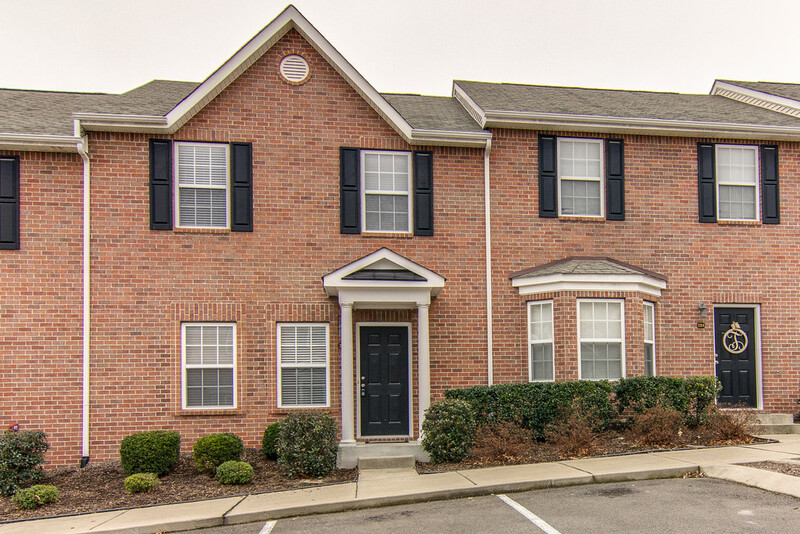 Bought a Condo home in 2014 for approximately $125K in Antioch, TN. Damon and Susan were both great to work with when I purchased my first home. We looked at what seems like 25 different properties and they were accommodating and patient at each one. Good people who are out to get you a great deal on a great home! 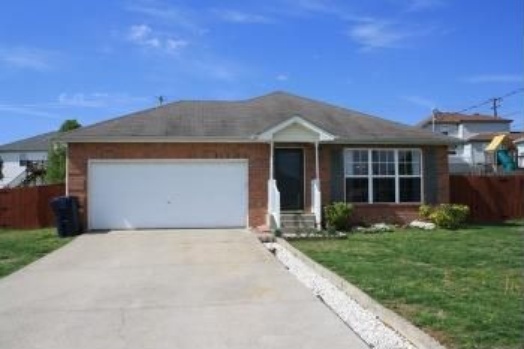 Bought a Single Family home in 2014 for approximately $125K in Villages of Long Hunter, Antioch, TN. Damon was very helpful with helping my wife and me find find a home. When our financing fell through and we had to find a new pre-approval fast, Damon and his team got it done. 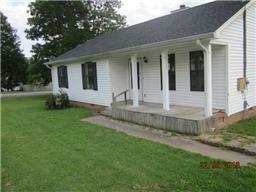 Bought a home in 2014 in Boston, Thompsons Station, TN 37179. Damon is the most knowledgeable real estate I have ever worked with. He guided us through every step of the buying process. He is very responsive and was always available to us. I highly recommend him to any one looking to buy or sell. 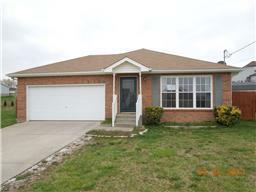 Sold a Single Family home in 2014 for approximately $125K in La Vergne, TN. 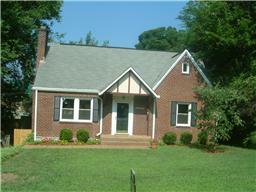 I wanted a quick, easy sale and Damon was prepared and marketed my house so well that it sold within hours of listing! Best agent in Nashville. He'll be helping me find my next house for sure. 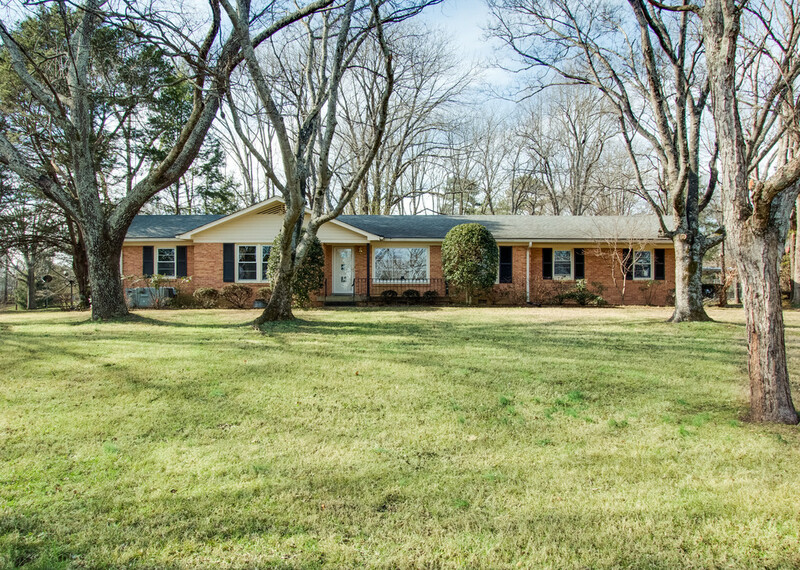 Sold a Single Family home in 2014 for approximately $175K in Dickson, TN. Immensely pleased with hiring Damon and his team. Because of his expertise, we had an accepted offer 2 days after listing our home! We would recommend anyone looking to sell their home to hire Damon. 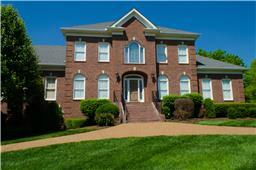 Sold a Single Family home in 2014 in Seward Hall, Franklin, TN. I met Damon over the phone after viewing his profile on Zillow. We are currently in the process of moving to Nashville from Chicago. Not only had his communication been outstanding, but he hooked us up with a local Berkshire Hathaway agent in Chicago and got our home sold in less than 2weeks. My husband is being relocated to Nashville-Brentwood for the music business and it seems that Damon and his team do a majority of the business with the music scene. We are currently looking at homes with Damon and are very satisfied. I suggest to anyone looking to buy or sell your home in Nashville, call Damon. 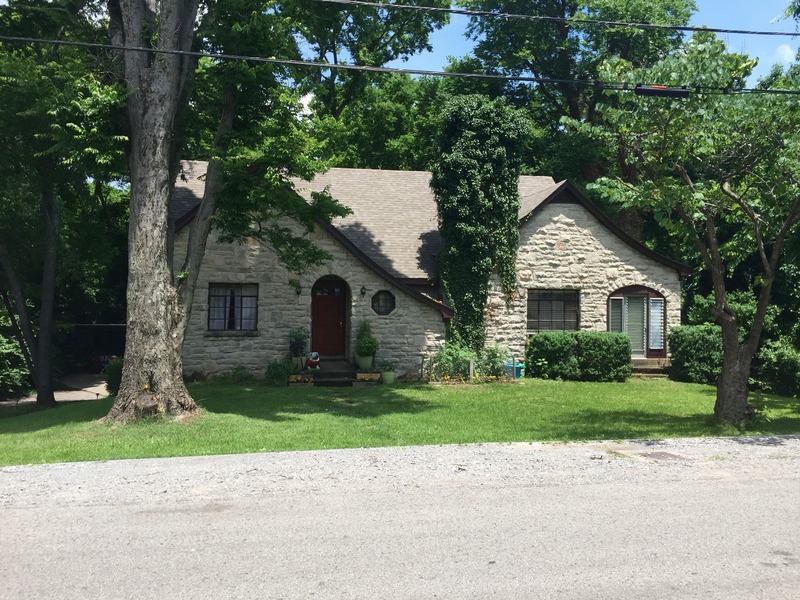 Bought a Single Family home in 2014 for approximately $325K in Lebanon, TN. Damon was knowledgable and professional and always very timely. He was also personable, a good listener and took interest in finding the home we wanted. He is a talented negotiator and got me everything I wanted on my home purchase. On any future real estate needs Damon will be the first person I recommend or use. Being new to the home buying process, I didn't really know where to start. I came across Damon Smith's information on Zillow, and after reading the reviews of his services I knew I had to give him a call! He immediately got a feel for what I was looking for, and gave me the heads up on what steps I should take. Throughout the whole process, Damon and his wonderful associate, Devyn McLaughlin, showed me some great homes and I finally found exactly what I was looking for! If you're looking for a knowledgable and helpful realtor, I highly recommend Damon Smith and his team to take care of you. 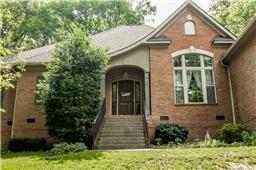 Sold a Single Family home in 2014 for approximately $350K in Crieve Hall, Nashville, TN. Damon was so helpful with everything regarding the sale of my house. He was very knowledgeable about the neighborhood and pricing of comparable houses. He kept me up to date throughout the entire sale of the house. I had previously tried to sell the house myself, but realized what a tremendous job that would be. I would recommend Damon Smith to anyone who is interested in selling their house. 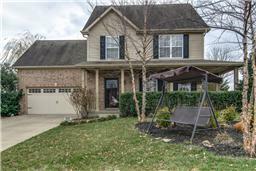 Sold a Single Family home in 2014 for approximately $275K in Riverside, Nashville, TN. The most competent realtor that I have ever had the pleasure to work with. He and his staff made my buying and selling a pleasure. When closing on my loan became an issue,he stepped right up and coordinated the whole process. During the recent sale of our home, Damon was acting as the buyers agent and was very pleasant to work with during the time before closing. He always answered any questions that we had about the upcoming sale and closing with timely responses. When we arrived at Damon's office on the day of the closing, we had our car loaded and also had our Yorkie with us as we were planning on traveling to our new home in Kentucky right after closing. The planned closing at 12:30 that day had to be postponed for an undetermined length of time due to some last minute issues with the lending company. Damon very kindly offered to keep our Yorkie in his office while we went to lunch. When we returned from lunch, it had become obvious that the closing would not take place that day due to the unexpected issues with the lender. We were at a loss as to what we were going to do, as we had to leave for Kentucky that day. Damon came up with a solution that worked for everyone. He offered to sign for us under a limited power of attorney whenever the final closing was held. He also arranged for a wire transfer of the proceeds of the sale to our bank account . This turned out to be a life saver for us as we were able to travel to our new home in KY without further delay. Everything went smoothly with the closing and wire transfer on the following Monday. Keep in mind that Damon was the buyers agent, but was very accommodating for us as the sellers, as this sale was 'buy owner' and we had no seller's agent. If you are in the market for a buyer's or seller's agent, you can't go wrong with Damon Smith! HIGHLY RECOMMENDED!! 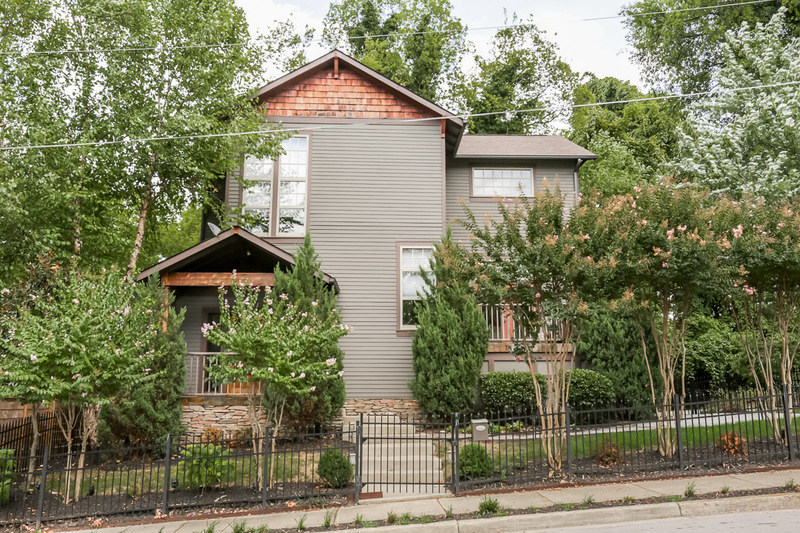 Sold a Single Family home in 2014 for approximately $575K in Historic Waverly Place, Nashville, TN. Damon is extremely accessible, easy to work with, and a great problem solver! He's aggressive with his marketing, has solid advice about how to get the most for your home, and knows just how far to push the envelope without letting a deal fall through. I've had realtors in the past who I can't believe I even had to pay. This time, I walked away knowing that this was a sale that wouldn't have happened at the price point it did without Damon's hard work and negotiation skills! 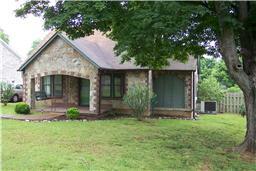 Sold a Single Family home in 2014 for approximately $250K in Fairview, TN. We selected Damon to help us with a relocation sale. He wasn't the first agent we talked to, but his honest assessment of the condition of the property, focus on appropriate comps, and realistic pricing strategy (not just the number we wanted to hear, but the number most likely to get the house sold) made choosing him the obvious choice. Throughout the process Damon was open, honest, and responsive. He knew the ins and out of the complex relocation minefield, and worked closely with us to get the home sold. Ours wasn't an easy sale (unique property in a unique location), and Damon exceeded our expectations in every way. We'd not hesitate to recommend him to anyone looking to buy or sale a home. 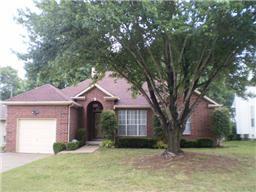 Sold a Single Family home in 2014 for approximately $200K in Oak Highlands, Antioch, TN. I hired Damon because of his great marketing techniques, including fabulous photos, a video walk-thru (including street shots from in front to show the neighborhood) posted on YouTube, an email blast to thousands of other agents, etc. As a result, I received 5 offers within 4 days, and I accepted the highest offer, which was only $4,000 less than my asking price of $199,000. 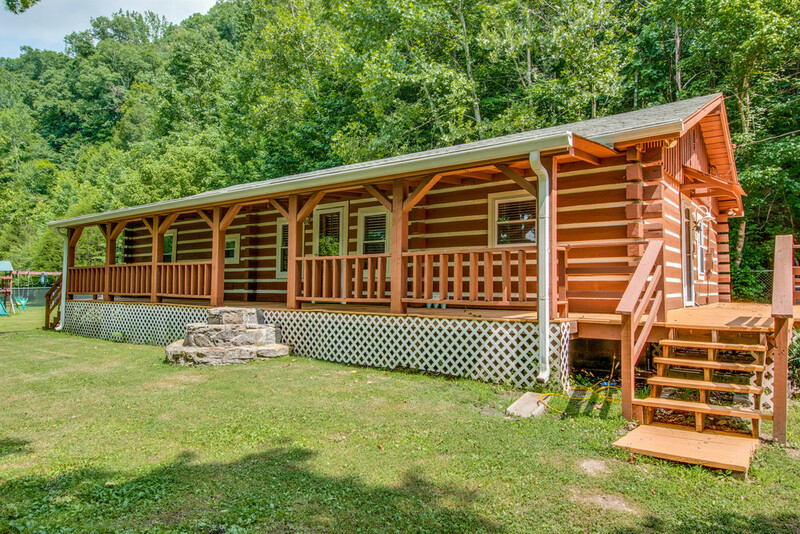 Bought a Single Family home in 2014 for approximately $600K in Arrington, TN. Damon and Susan both are extremely competent. They immediately zeroed in on exactly what we were looking for and found it for us in our price range! We were always treated as if we were their only client even though I know they are VERY busy. We have worked with a number of realtors throughout the years and this is the best experience we have ever had. If I could give more than 5 stars I would!!! 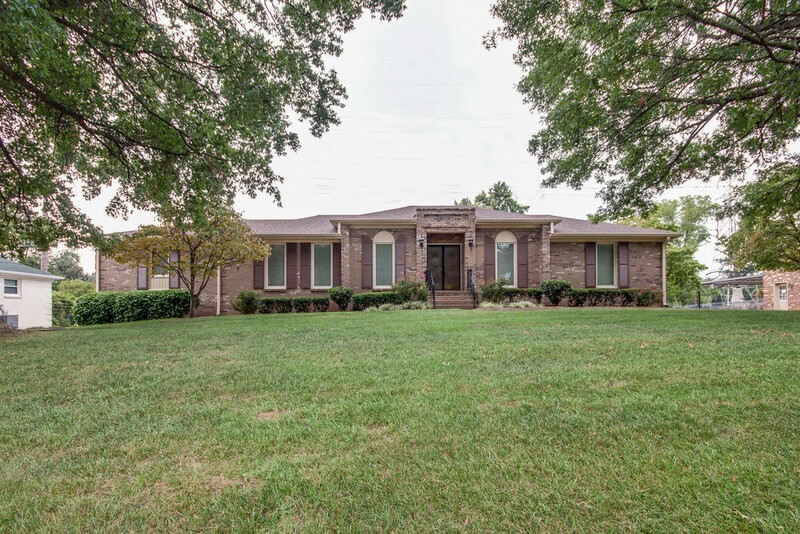 Sold a Single Family home in 2014 for approximately $450K in McLemore, Franklin, TN. Damon sold our house quickly and efficiently for more than we expected. We would highly recommend Damon as a Selling Agent. 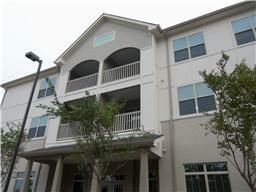 Our experience with Damon was great, he was friendly and understanding and very knowledgeable about the area. He was always very responsive and available at all times. Thank you for the wonderful experience. Bought a Single Family home in 2014 for approximately $350K in Nashville, TN. Damon was very helpful with finding my first home. He and his associate were able to cater to my needs of only looking on the weekend due to my busy travel schedule. After looking at a few houses he knew my taste of what I was looking for and adjusted so I could find the house I wanted in the area I was looking in and the number of rooms I needed. 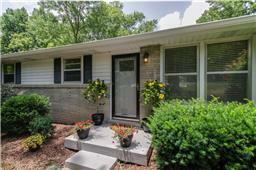 Bought a Single Family home in 2014 for approximately $125K in Locustwood, Nashville, TN. Woodmont Realty was awesome and very helpful! Damon set me up with Stephanie Jameson who is very nice and knowledgeable. She truly cares about her clients happiness. Stephanie is great and I recommend her to anyone especially to someone who is looking to buy their first home like me! 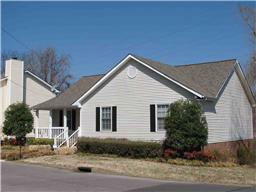 Sold a Single Family home in 2014 for approximately $200K in Spring Hill, TN. He was great to work with! Damon is very professional and personable. I appreciate his honesty and enthusiasm in selling our home. He definitely goes above and beyond for his clients!. 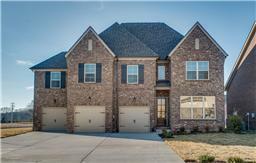 Sold a Single Family home in 2014 for approximately $425K in Spring Hill, TN. 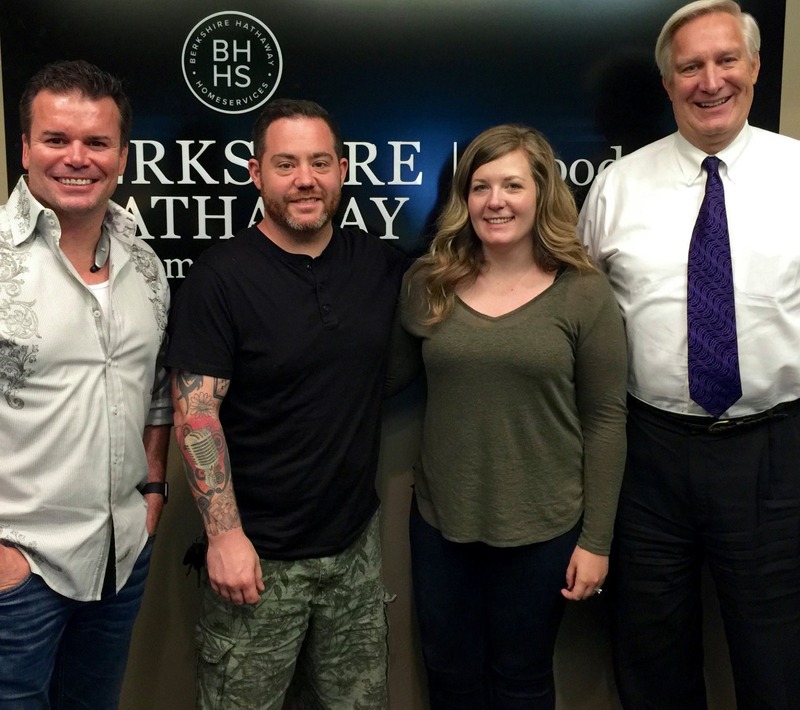 Damon Smith not only helped us find our dream home, he sold our existing home in 12 days. We worked with Damon as both buyers and sellers. I can assure you that Damon has a wealth of market knowledge, is an expert in making your transition seamless, is always available to respond to any and all concerns, and will absolutely negotiate the deal so that both buyers and sellers all walk away with a smile. Thanks Damon Smith and thanks Woodmont Realty!!! 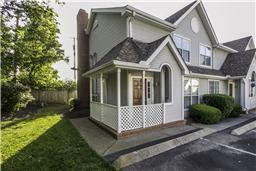 Bought a Condo home in 2014 for approximately $175K in Nashville, TN. Most professional and knowledgeable real estate agent we have ever met. His marketing skills are unmatched. He is always borh prompt and pleasant. I would highly recommend him to anyone wishing to list or buy property. 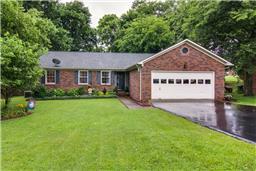 Bought a Single Family home in 2014 for approximately $150K in Spring Hill, TN. Damon was awesome - very professional and helpful. We went through some tough experiences before we found him - but with him everything was smooth and efficient. Damon interviewed me about what my wife and I were looking for and showed us four homes that met our criteria. We met with him to discuss pros and cons and he showed us how the home we eventually purchased best met our criteria plus was a great investment. Damon then helped us negotiate terms that included a lower price than the original asking price and included appliances we wanted that were not originally offered. 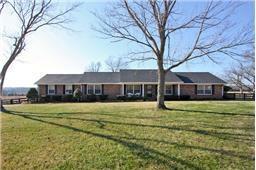 Sold a home in 2014 in Kedron, Spring Hill, TN 37174. I highly recommend working with Damon for all of your real estate needs! He was extremely helpful in both the selling of our old house as well as buying our new home. We tried for over six months to sell our house on our own and once teaming up with Damon we closed on the sale within a few weeks. Our experience with Damon was outstanding. He came with an aggressive marketing plan and fully executed. He remained motivated and fully accessible throught our sale. We appreciate his continued support with making our sale and move very smooth. I would highly recommend Damon and his team. 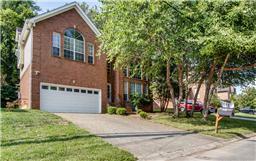 Bought a Single Family home in 2014 for approximately $550K in Brentwood, TN. Damon was very helpful from the very beginning and even after closing. He is very prompt and very helpful responding phone calls and emails. 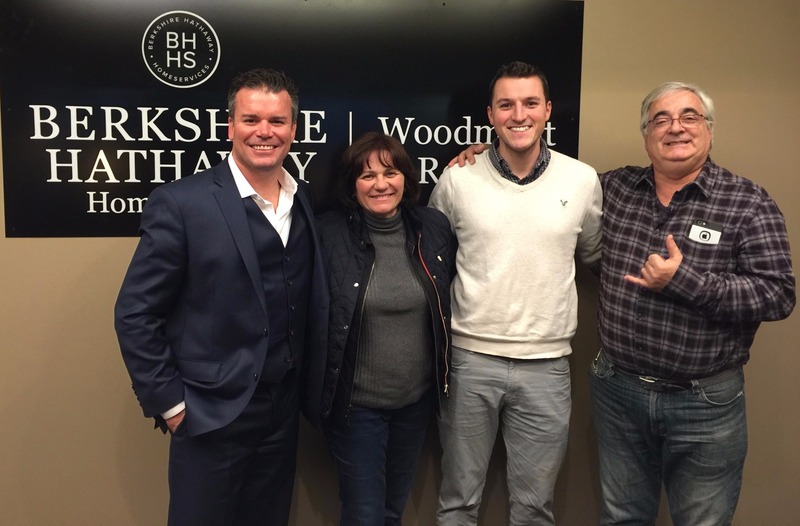 He was very instrumental in helping purchasing the most beautiful home in Brentwood. Bought a Single Family home in 2014 for approximately $200K in Whispering Hills, Nashville, TN. Damon is an awesome realtor - we had almost instant appointments when we requested a showing on a house. He is very personable, really cares about his customers. 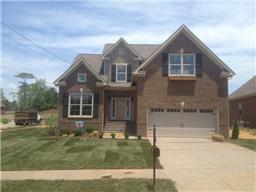 Sold a Single Family home in 2014 for approximately $250K in Spring Hill, TN. I highly recommend working with Damon. We had tried for over six months to sell our home by owner and less than three weeks after signing with him, we had a contract! And with his help, the closing process went smoothly and we were closed a few weeks later. He was also helpful in our finding our next home, and with the closing process on that as well. Bought a home in 2014 in Crieve Hall, Nashville, TN 37220. Bought a Single Family home in 2014 for approximately $75K in Nashville, TN. PROFESSIONAL, FRIENDLY, KNOWLEDGABLE At the risk of sounding like a salesman; if these are things you need from a realtor, DAMON IS YOUR GUY!!! Working with Damon and his amazing team, (BIG THANKS MICHELE AND GREG!!!! ), was an exceptional pleasure. To start, they spent several long days with us with great patience, looking through so many properties. All the while gaining understanding of what we were hoping for. 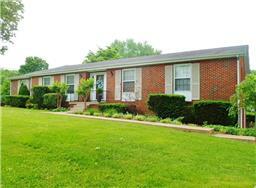 To finish, they found exactly what we needed and managed to close the sale at nearly 17% off the asking price!! The whole process went so smoothly I hardly realized I was buying a house until I got a congrats and a set of keys from him. Damon and his team was highly impressive in all circumstances. I couldn't possibly rave enough about our experience! We feel like we have been horribly spoiled and wouldn't dream of asking for anyone else the next time. Very helpful in understanding our needs. He was knowledgeable of the area and went the extra mile to sell our home. 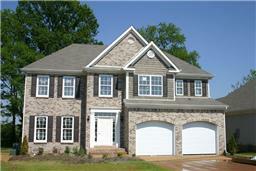 He provided us in detail his experience and did his homework on existing home sales in the area. 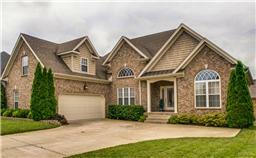 Sold a Single Family home in 2014 for approximately $325K in Spring Hill, TN. Damon was able to sell our house in a single day at a profit. We were very please and impressed. Another friend of mine used a different realator to sell his home in the same time frame. His sale took over 30 days and he had to sell at a loss. I would recommend Damon to anyone sellling their home. 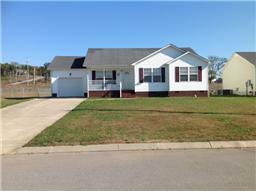 Sold a home in 2014 in Tennessee City, Dickson, TN 37055. Due to the fact that my husband’s job transfers him quite often, we have had numerous homes to sell, with many different realtors. Damon is by far, one of the Best realtors we have ever had. 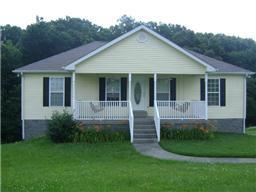 We felt our home, that was located in a rural area, was going to be difficult to sell. I originally had made up my mind to use a local realtor. Then I met Damon. His enthusiastic, energetic approach along with his detailed strategy on how he was going to step by step sell our home, blew me away. He was so excited about selling our home that he made me want to almost buy it myself. One of the many things that he said and stood out to me was, "Other realtors will list your home and sit back and wait for a potential buyer to come in and ask to see your home". He said, " I go out and find your buyer.". He was right. Within 4 days on the market, our house was under contract and closed 3 weeks later. He truly knows how to market a home along with having some awesome pictures of your home taken that truly enhances the beauty. If you are serious about selling your home, we would highly recommend Damon. He is the greatest!! 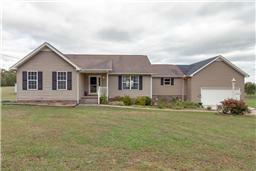 Sold a home in 2014 in Patterson, Eagleville, TN 37153. We listed our home with Damon after an unsuccessful attempt at FSBO. He convinced us that our time was worth something, and he was absolutely right. Damon responded to every phone call, text, or email within minutes. He always kept us up to speed with any negotiations, and we trusted him fully to make decisions on our behalf. We had an issue with an appraiser and Damon defended our best interest instead of pushing us to sell at a much lower price. Our house was under contract again within a few weeks thanks to his aggressive marketing. To put it simply Damon will work for you, not himself.  Compared to previous experiences we had with other realtors Damon and Berkshire Hathaway's customer service was second to none. 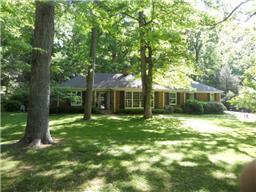 Sold a home in 2014 in Four Corners, Nashville, TN 37013. I cannot say enough good things about Damon. His positive attitude and charisma reflect in every detail of his profession. He really enjoys what he does and what a difference that makes! He is very knowledgeable, very helpful, and his communication skills are unmatched. Not once did we have a question he could not answer. I can honestly say I do not think things would've turned out so well with a different realtor. He is in touch with technology and is very aware of the power of social networking. I would recommend him to anyone looking for a realtor as he is the best there is. 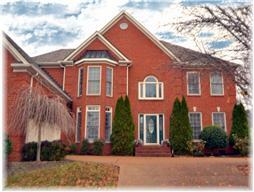 Bought a Single Family home in 2013 in Bellmont Hillsboro, Nashville, TN. Displaying a great balance of patience when wanted, assertiveness when needed, Damon always kept my best interest in focus. From inspection, to final closing and all points in between, all steps were orchestrated with professionalism. The entire process was smooth and seamless. As a buyer, I couldn't ask for more. I highly recommend. 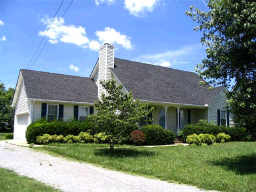 Sold a Single Family home in 2013 in Valley Green, Nashville, TN. Back in October of 2013, my husband and I made several life changing decisions. The first was to put the house on the market. The decision to sell was a challenging one because we were upside down in our home. Our first step was seek out a knowledgeable and proactive real-estate agent. We searched the internet and read countless testimonials. I tried the Zillow website and called three out of the four top agents, only one replied right away, Damon Smith of Berkshire Hathaway Woodmont Realty. That afternoon we signed a contract and the journey to sell began. Damon Smith remained professional and motivated throughout our four month selling process. He very efficiently helped us find contractors to get the house ready to show and had a contract in first four days on the market. My husband and I were particularly impressed with his ability to negotiate contracts under some very difficult circumstances, especially when our first buyer backed out; Damon made sure we got the buyers earnest money. Damon Smith instilled hope to get our home sold, going out of his way to bring potential buyers to our home. He never gave up! Damon kept in contact with us constantly and always returned calls and text. Damon, successfully sold our home the week we were leaving for California, a month after the first contract fell through. What a relief moving across country knowing we were almost free of a great financial burden. Damon made a very stressful situation into a hopeful one. He was a delight to work with and feel we have made a life time friend after our selling experience with him. We undoubtedly recommend Damon Smith to anyone in the Nashville and surrounding areas who are thinking about selling or buying a home in a timely and proactive manner. Damon Smith is true asset the real-estate world!! 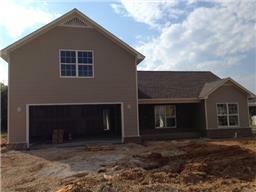 Sold a Single Family home in 2013 in Columbia, TN. Very high skill set, ethical in all areas of his business dealings. His business model and network were most credible. We were always in communication throughout the process of selling our home. We have already recommended him to our friends, and will continue to do so. 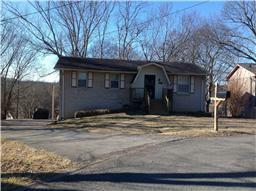 Bought a Single Family home in 2014 for approximately $125K in La Vergne, TN. Damon was contacted by me after seeing some of his listings on Zillow. I told him I was doing the "leg work" for my daughter who had recently taken a job in the Nashville area, and was wanting to buy a home. Damon was given the "wish list" of amenities and desired areas for the new home. He immediately went to work for us; he had the contacts to initiate a pre-qualification. He showed us several homes immediately. When my daughter found the home she wanted; everything was arranged by Damon for the inspections, the advice on the offer, the financing, utility cost history- everything! A closing date was set. (My personal belief was that that date could not be met). To my great surprise, Damon and his contacts had the closing ready and done, as scheduled. Never have I seen a realtor who will take you "under his wing"; guide you through the process, always be available to answer questions, etc. ; it's like you are his only customer. I've worked with several realtors in the past, but I've never seen a fellow who will work so hard for a client. And I live in another state! 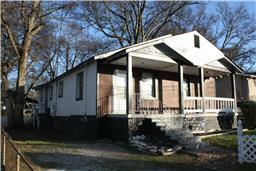 Bought a home in 2013 in Charlotte Park, Nashville, TN 37209. As a first-time homebuyer, I couldn't have asked for a better experience, and that was all thanks to Damon's expertise. He listened and paid close attention to what I was looking for in a home and was great at answering all the questions that first-time buyers have. It was a pleasure working with him, and I would recommend him to anyone! 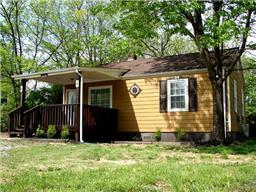 Bought a home in 2013 in Four Corners, Nashville, TN 37013. I highly recommend Damon as a realtor. He walked me through the process of buying my first home and was always quick to answer any questions that I had. From offer to closing everything went very smoothly. 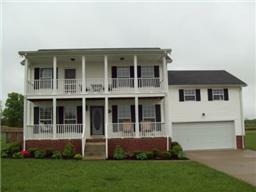 Sold a Single Family home in 2013 for approximately $100K in Columbia, TN..
Damon is easy to work with. He understood my priority to sell my home quickly and responded with an aggressive marketing strategy. 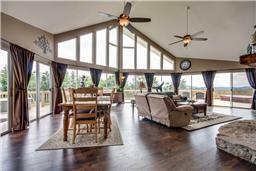 He understands how to market a home and listens and communicates very well. I would use him again. 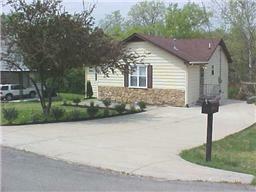 Bought a Single Family home in 2013 for approximately $125K in Lebanon, TN. 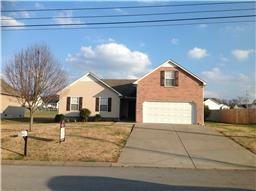 Bought a Single Family home in 2013 for approximately $75K in La Vergne, TN. I was looking to purchase a house and had talked with several realtors. I contact Damon from a house he had listed. He worked thru the entire process with us and was eager to help a a moments notice. He was always on time and knew about each home we were interested in (he did his homework) and honest with the answers he provided for each question. He was fun but keeping it professional at the same time. I have a bit of knowledge in the industry and was very comfortable with the process as he explained everything in detail making sure we understood and felt we comfortable and he never pressured us in any direction with any issue. I highly recommend if you need help to work with Damon. He will be honest and always help in every aspect of the home buying process. I will recommend and use him again if we have any needs. 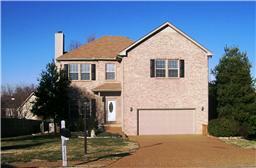 Sold a Single Family home in 2013 for approximately $475K in Nashville, TN. No other Agent in Nashville will work as hard or as creatively to sell your home like Damon Smith will. I had a difficult property to sell for a number of reasons...Damon attacked each problem with a solution driven approach and got the property sold at an excellent price. There is no doubt that his industry knowledge, assertive techniques, and extra effort made the difference in my property being successfully sold. I would recommend Damon and his team to anyone who is serious about listed and selling their home. 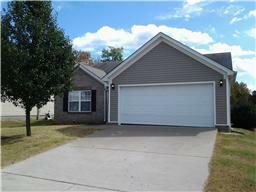 Bought a Single Family home in 2013 for approximately $125K in Murfreesboro, TN. This was my third home purchasing experience and I enjoyed Damon's professionalism. He found the home I was looking for at the price point I needed to stay in budget. There were 5 offers total on the property, since it was a VA foreclosure I had only one change at making the winning offer. With Damon's advice and experience I was able to make the winning offer without going over budget and still getting a great purchase. This was all done in a short time period since I was in a bind to find a place to live and Damon keep me on schedule. Great job Damon! I would recommend Damon to anyone looking for an investment in a home. Especially if you are time restrained. 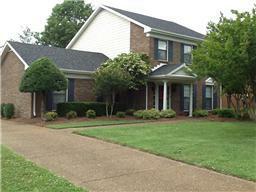 Bought a Single Family home in 2013 for approximately $150K in Sorthfork, Old Hickory, TN. Damon was incredibly helpful in helping me purchase my new home, and his knowledge of the area and attention to detail prevented me from making a lot of mistakes I surely would've regretted down the road. Highly recommended! 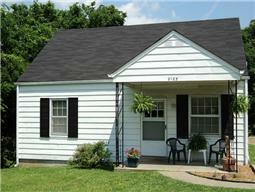 Bought a Single Family home in 2013 for approximately $150K in Fairview, TN. Very professional. Prompt. Arranged for us to see 4 houses in a few hours. Walked us through the process. Closing done remotely, Damon helped with that process as we were not able to be present. Bought a Condo home in 2013 for approximately $150K in Nashville, TN. Would you like a realtor whom you would develop into a friend? If so, Damon's your man. A solid professional, he has thorough local knowledge, and knows, advises on and negotiate the process personally,and respects timelines and the effort it takes from many to meet them. Most of all he is highly responsive. We are from out of town and were looking for a condo in Nashville. He was the third realtor we worked with, and the only one who kept in touch regularly and personally. He made every effort to understand our tastes and needs, helped us identify and assess properties, and arranged a one day visit during which he drove us to see them and we decided on one. We returned home but a day later found another property of interest. He worked fast to check and visit it, gave us a personal tele tour, evaluated it in terms of what he knew of us, and recommended purchase. We placed a contract not having seen it, and then worked with him through closing, all at a distance. 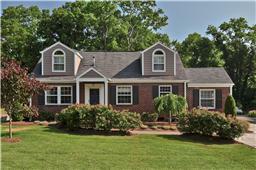 He negotiated the price and process with the seller, our lender and the title agency. We traveled back to close, and it was then that we saw the property. It was every bit and more what we had been hoping to purchase, an excellent value. Damon never sought to sell us what he wanted; he always worked to connect our interests with available properties. He keeps his customer foremost, is thoroughly courteous and attentive, highly responsive and very engaging. A true and professional gentleman. 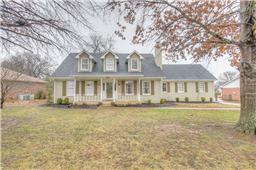 Bought a home in 2013 in Haynes, Nashville, TN 37086. Damon was always ready to show me houses and answer the questions I had. A great resource to have! He took care of business and walked me through the purchase process without a hiccup. I couldn't have asked for more from this excellent agent! 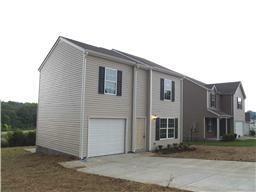 Bought a home in 2013 in Bellmont Hillsboro, Nashville, TN 37212. Damon is a great RE broker! He know's the area, he listened to what we wanted, was always available and found us the perfect house within the time frame I had available! He still answers questions for me and continues to be a great contact for needs that I have pertaining to the Nashville area and this property. Great broker and I highly recommend him to anyone! 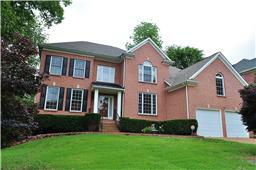 Susan has been very professional and thorough in helping us find a home in the Nashville area. She was very persistent in helping us find the home of our dreams. Not only does she have your interest at heart when it comes to finding the home of your dreams, but she does this with such ease and with such a professional manner. Susan will always be our "go to" realtor in regard to being our market expert in finding our next home. Bought a Single Family home in 2013 for approximately $400K in Berrys Chapel, Franklin, TN. Damon is,by far, one of the best realtors I have ever come across! He was able to balance the opinions of two polar opposite women (myself and my mother) as well as those of my husband. That is no small feat in my family! He also showed his integrity by helping us to decide on a house he believed would suit us better, rather than the one that promised a higher commission. Just an unbelievably enjoyable experience! No used car salesman here! I absolutely will use Damon again if the need arises and recommend him to anyone in the market to buy or sell! 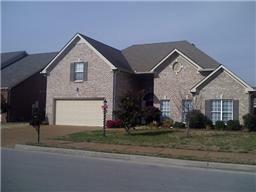 Bought a Single Family home in 2012 for approximately $75K in Antioch Park, Antioch, TN. Damon Smith helped us buy our second rental property. He was there for us from the beginning to closing. Damon made our buying experience a lot less stressful and was always on top of everything for us. He made time to show us houses and made it to all showings on time. Damon has a friendly personality, motivated, knowledgable, understanding, and easy to get long. He is very hardworking and will make sure you are at ease with your purchase. Damon has continue to help us buy another rental property and will always be our realtor. My husband and I highly recommend anyone in need of a realtor to contact Damon Smith. 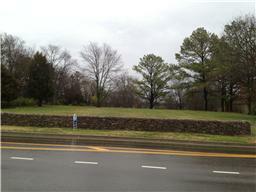 Sold a Vacant Land home in 2013 for approximately $300K in Brentwood, TN. Damon Smith is a true professional in real estate sales. He was diligent in pursuing prospective buyers for my property and stayed on top of every lead. He was in constant contact with me throughout the selling process and I so much appreciate the personal attention he paid to our sale. I would highly recommend Damon for any real estate needs. 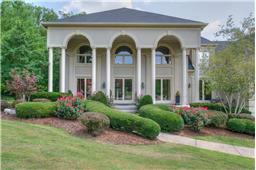 Susan recently helped me look for homes in the Nashville area. I was seriously considering relocating from the East Coast for a new job in Nashville. I subsequently declined the job offer as the position had some serious "challenges". The most enjoyable component of the interviewing process, however, was the time spent with Ms. Smith. I have relocated numerous times throughout my career and have substantial experience with house hunting. Susan struck me as probably the best agent (out of at least 10) that I have used in my career moves. She takes the time to listen to my housing needs and then does her "homework" before the search begins; therefore, my limited time was spent wisely. My wife and I were confident we would have enjoyed living in Nashville but the job just didn't offer what we felt was our minimum requirements to justify another relocation. 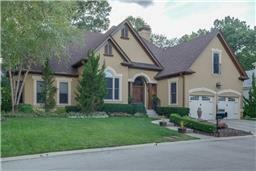 Showed home in 2014 in Charlotte Park, Nashville, TN 37209. Wife and I are moving to Nashville for the music business and I searched out numerous agents before finding Damon. We immediately connected because of the music history of both he and I. I will say that no one knows the Nashville area better. Not only did he help negotiate a great deal for us. He found us a home with a studio already built in. Thanks Damon.